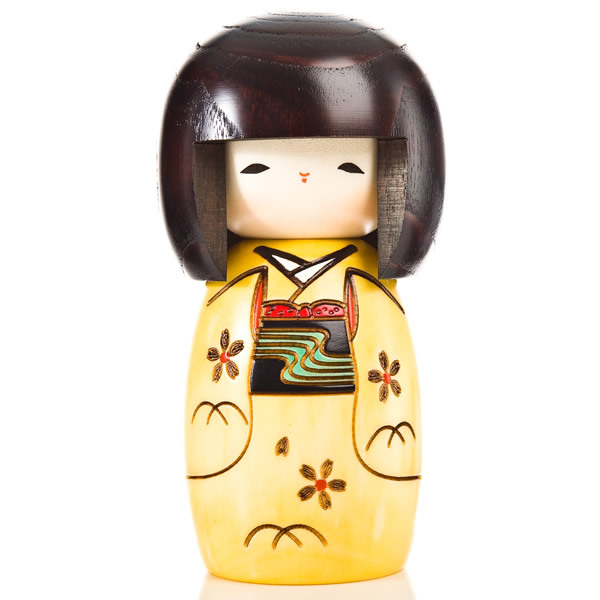 Brighten up someone's day with the Yellow Happy Girl Authentic Kokeshi Doll. 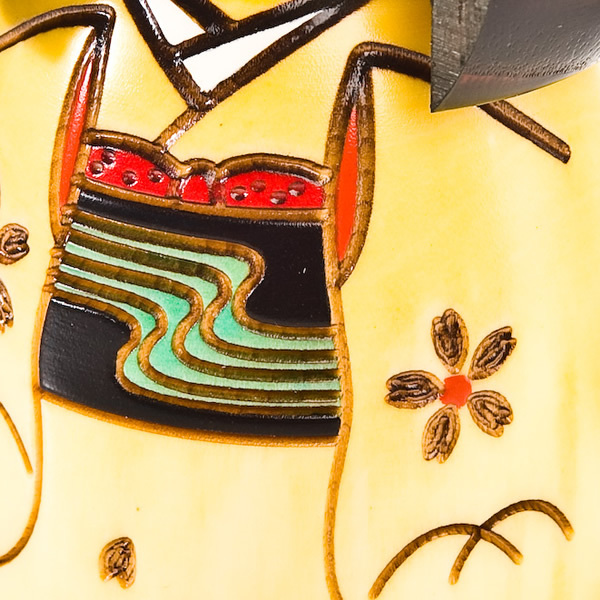 With her delicate features, stunning floral kimono and contrasting obi (sash), this beautifully crafted doll makes a very special gift - and she has even been given her own name! 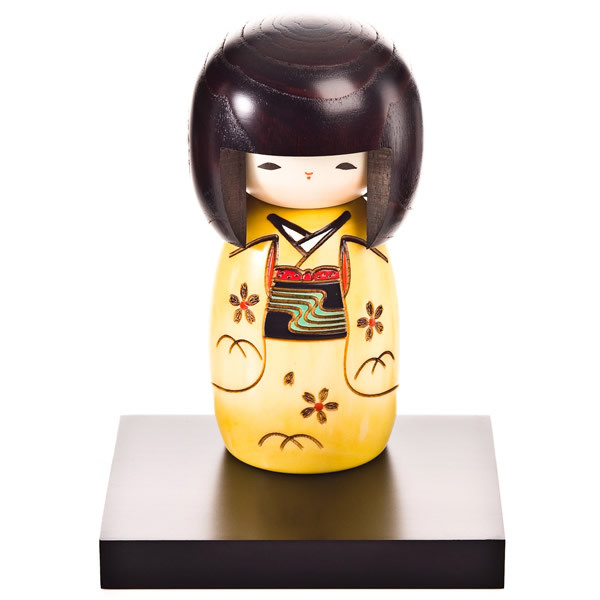 The Yellow Happy Girl Authentic Kokeshi Doll looks all the more striking against a black wooden display base. If you would like one, the medium size fits perfectly. 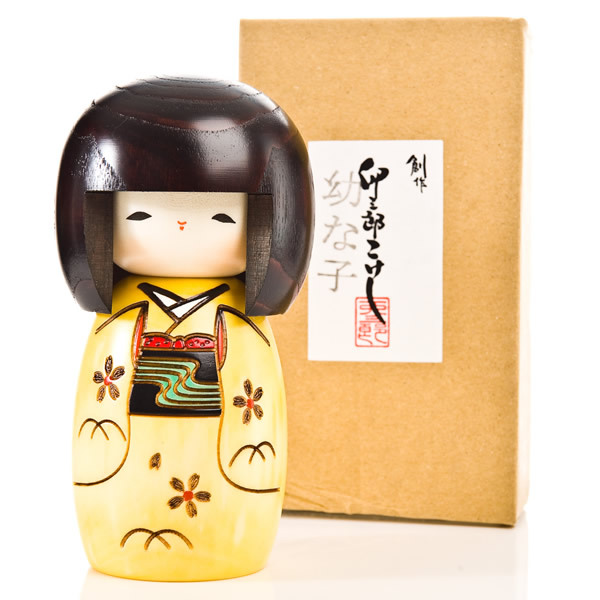 Add the Yellow Happy Girl Authentic Kokeshi Doll to your basket to order her for delivery, or visit our showroom to browse our full range of wonderful Japanese gifts, all of which can be wrapped free of charge. Delightful and speedy delivery service! Just to say a big thank you for the beautifully gift wrapped dolls (and lovely card & key ring too!) My daughter was thrilled with them! Will definitely be ordering again from you! Thanks again.